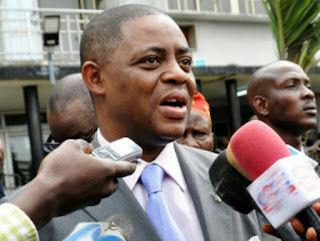 Femi Fani-Kayode on Friday described the Vice President, Yemi Osinbajo as a “disgrace and a traitor” to the Yoruba race and the Christian faith. Speaking at the 10th Bola Tinubu Colloquium in Lagos where the 66th birthday of the former governor of Lagos State was commemorated, Osinbajo said the current government won’t stop talking about corruption perpetrated by the immediate past government. In a tweet, the Peoples Democratic Party, PDP, chieftain stressed that the current Federal Government had indulged more in corruption in its three years than PDP’s 16 years. Fani-Kayode wrote, “Osinbajo, you are a disgrace and a traitor to your faith and race. You are hopelessly corrupt and you are a pernicious liar. “All you do is accuse PDP of corruption yet your government has indulged in more corruption in 3 years than PDP did in 16.